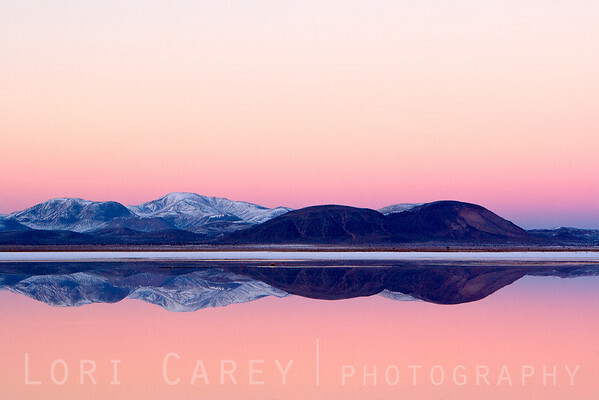 Snow-covered mountains reflected in East Superior Dry Lake in the Mojave Desert. This is usually a playa (a dry lake bed). A major winter storm brought snow to the Mojave Desert and turned the playa into a reflecting pool, creating this once-in-a-lifetime scene.